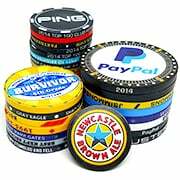 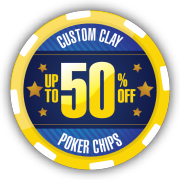 Custom Ceramic Poker Chip Sets are perfect for Casinos, Poker Rooms, Man Caves and Gifts for poker lovers. 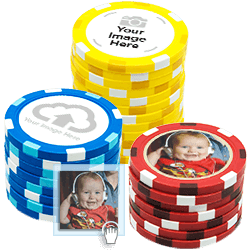 Customize one of our templates, upload your personal artwork or select a Professional Design Package option. 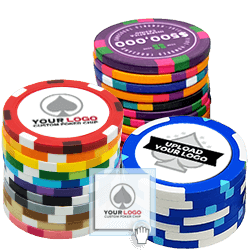 Your Ceramic Poker Chip Set includes a Poker Chip Case and Playing Cards.